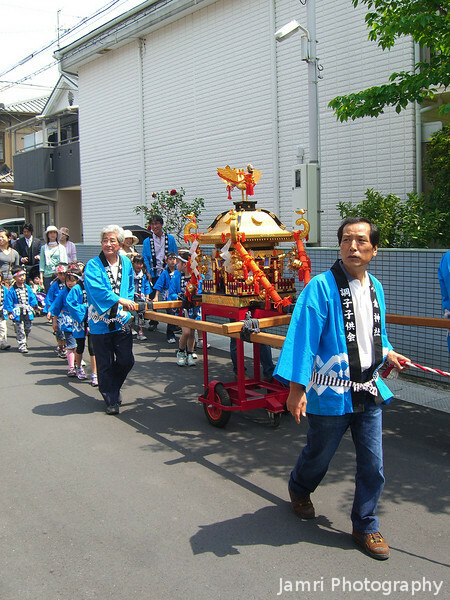 Snapped this shot of people bringing a Mikoshi (which is a vehicle carrying a Shinto God) past my house on Children's Day. This kind of thing to me seems like carrying the "Ark of the Covenant", which adds to the Japanese lost tribe theories. While I was watching the procession, one guy in the parade handed me a "Showbag" filled with snacks which I latter shared with some of our primary school aged students.